This Charger rack for KL5LM A & KL5LM B Li-ion battery cap lamp. Gross weight 60kg. 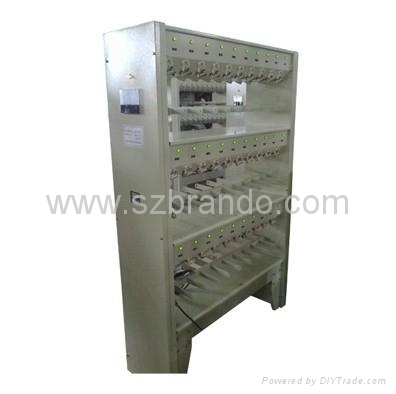 Our Factory can produce all kinds of battery Charger Rack/Bank . Charging lamps :10，24，36,48,60,102,104pcs as your requirement !